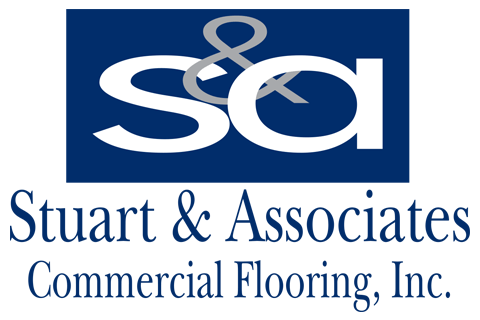 Stuart & Associates is proud to be the Mid West Regions - Premier Commercial Flooring Contractor. Our expertise in construction and commercial building procedures, allows us to serve the needs of our clients with a level of professionalism and skill rarely seen in our industry. We understand your needs… you have budgets, and schedules and of course quality expectations that govern your projects, and all you want is Subcontractors that will help you achieve the goals and the expectations of your client. That is where we come in. We have been in business for over 15 years and have dedicated ourselves to a satisfied, loyal client base obtained and maintained through our high expectations of ourselves to meet those clients’ needs. Highly trained and motivated Project Managers and Installers are the two key ingredients to successfully completing some of the Largest Projects in the Midwest – On Time – In Budget! Check out our Projects Page for a list of some of our projects. We have completed more than 3,000 projects in the last 15 years… we have never failed to complete a project. We have traveled all over the U.S doing branded projects for a loyal and quality customer base. Being a member of several trade organizations, including NTCA (https://www.tile-assn.com), FCICA (https://www.fcica.com), & CFI (http://www.cfiinstallers.com) displays our commitment to a highly trained and knowledgeable staff that is ready to tackle even the most demanding client’s needs.